Be a good role model. We as parents have a big responsibility to raise our kids in a healthy and active environment. We need to show them that we are choosing healthy options when it comes to food and living an active lifestyle. When you show your kids that’s it’s important for you to be healthy, they will see that and follow your lead. Now that the kids are back in school, it’s important to teach them about healthy snacking. 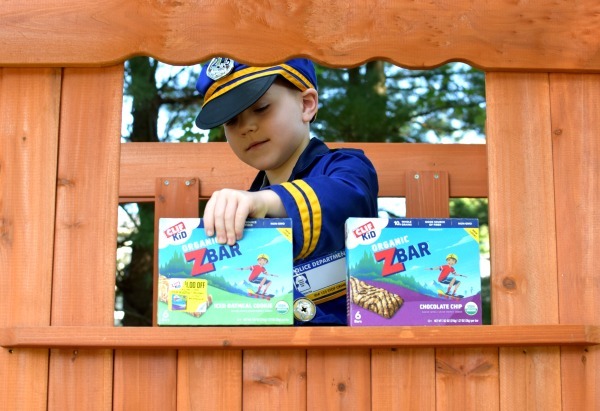 CLIF Kid Zbar® makes nutritious snacks from organic ingredients that are specially crafted for kids’ developing taste buds and active lives. 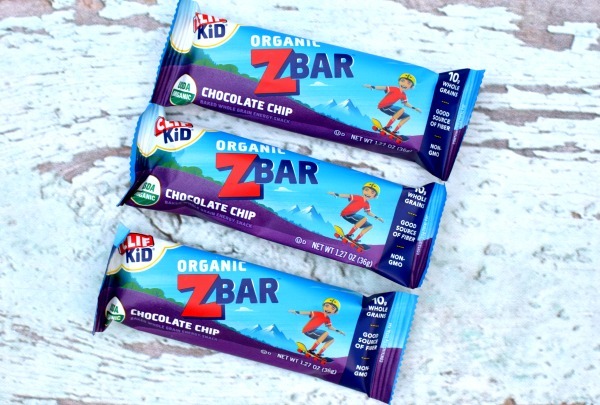 Made with organic ingredients, CLIF Kid Zbar® are non-GMO, have important nutrients for active kids, offer appropriate portion size for kids in flavors they love, and have no high fructose corn syrup, artificial flavors (or synthetic preservatives). 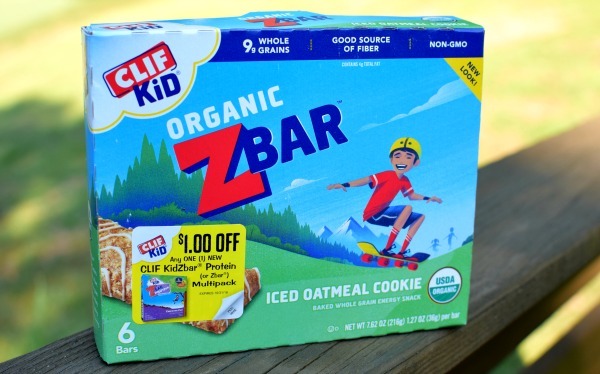 They are perfect for an after-school snack or add one to their school lunch for a healthy option. Limit unhealthy options. It’s okay to have a little treat once in a while, but explain to your kids why they cannot have ice cream and cookies everyday. Don’t buy unhealthy food and snacks for your house. When kids have healthy food and snacks at home, they don’t have any other choice to eat those healthy things at home. Soon they will become familiar with those healthy options at home and it will turn into a healthy routine for them. Educate your kids on what it means to be healthy. Get the kids involved when choosing healthy food, snacks and beverages. Make a fun game out of reading labels – make grocery shopping fun and educational. Making the process into a game will keep your kid’s attention and they will have fun learning all about healthy choices in the process. Be realistic. Set realistic goals for your kids. Remember, they are kids and they will not be very excited about eating lettuce and veggies. It takes time to establish healthy habits. 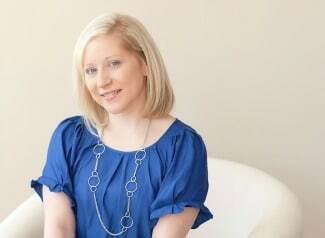 Work on creating a healthy family lifestyle over time and eventually your kids will automatically choose the healthy options over the unhealthy ones. Get the whole family moving. Encourage family play or activities to help get everyone active. Play is disappearing at home, in school and in communities. 70% of moms played outside when they were kids, 31% of their kids play outside today. 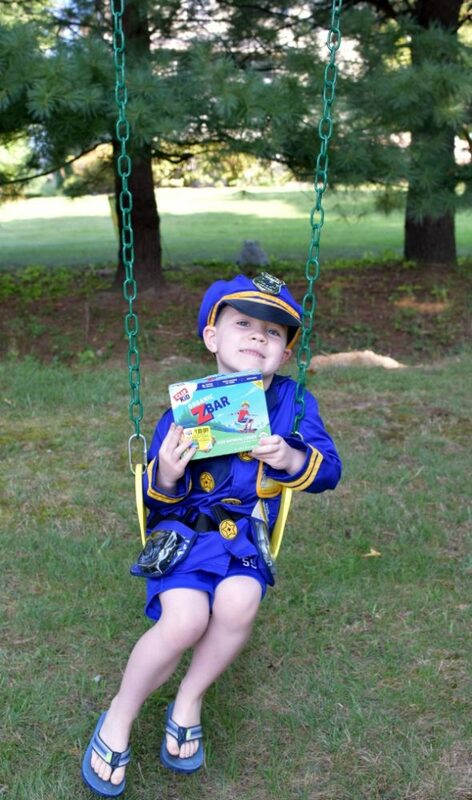 My son loves dressing up as a police officer, firefighter and construction worker. 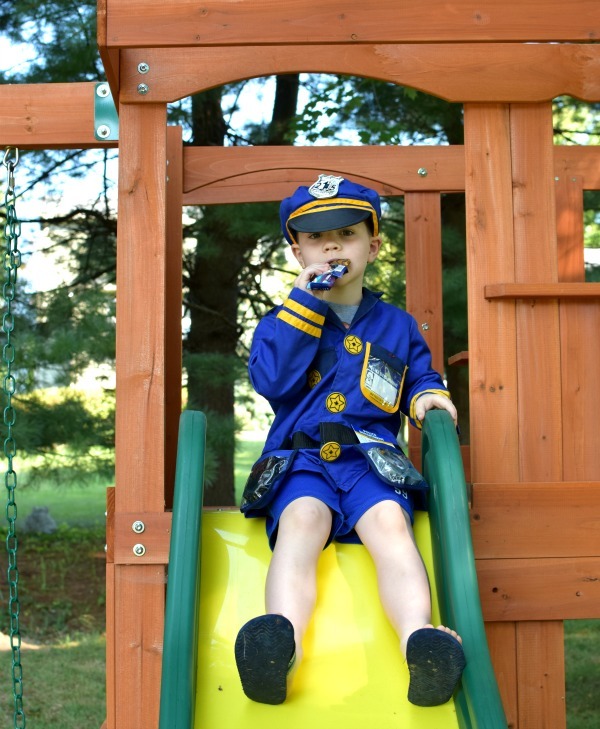 He gets his costumes on and goes outside in our backyard for “pretend play.” Get your kids back outside and off of those electronic devices. What ever happened to play? CLIF Kid is dedicated to reclaiming play. And they’re encouraging boys and girls everywhere to get back outside, push their boundaries, and feed their adventures. Check out the CLIF Kid video here.